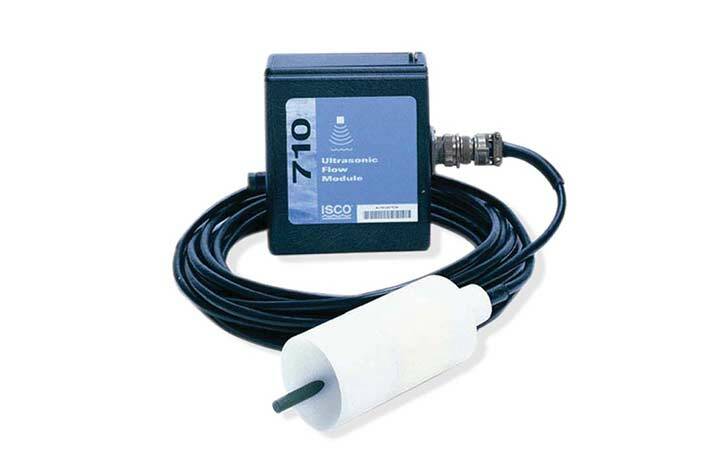 Built-in flow conversions for most applications Ideal for weirs and flumes, Isco flow metering inserts, Manning formula, data points, or equation for special situations. 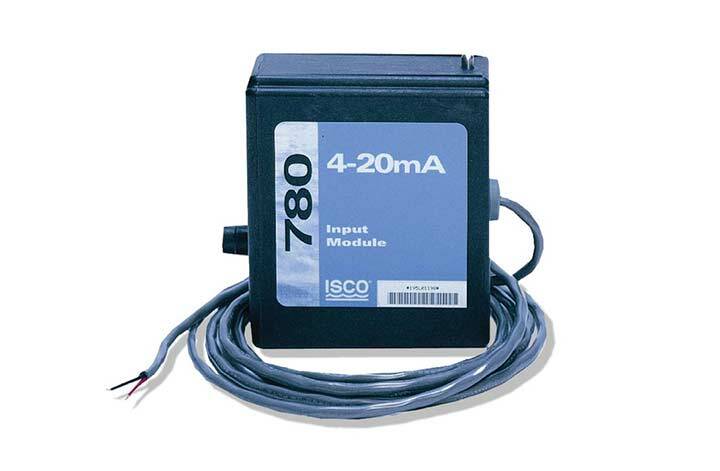 The Isco 730 Bubbler Module forces a metered amount of air through a bubble line submerged in the flow channel using a built-in air compressor. Water level is determined by measuring the pressure needed to force air bubbles from the line, and this is then converted into flow rate by the 6712 sampler. The 730 Bubbler is not affected by wind, steam, foam or turbulence, and can be used in small channels. Flows containing corrosive chemicals can be measured, as only the bubble line contacts the flow, and the module is also resistant to damage by debris and lightning, making it ideal for stormwater applications. Clogging is prevented with automatic bubble line purging. 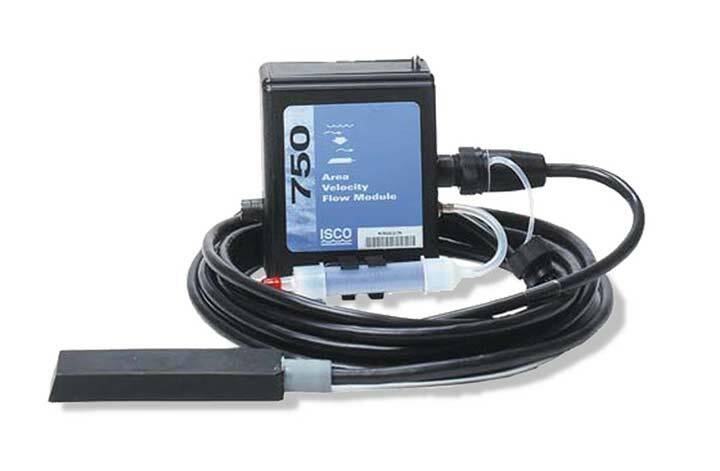 Automatic Drift Compensation makes Isco's bubbler flow meter technology the most accurate form of flow measurement. 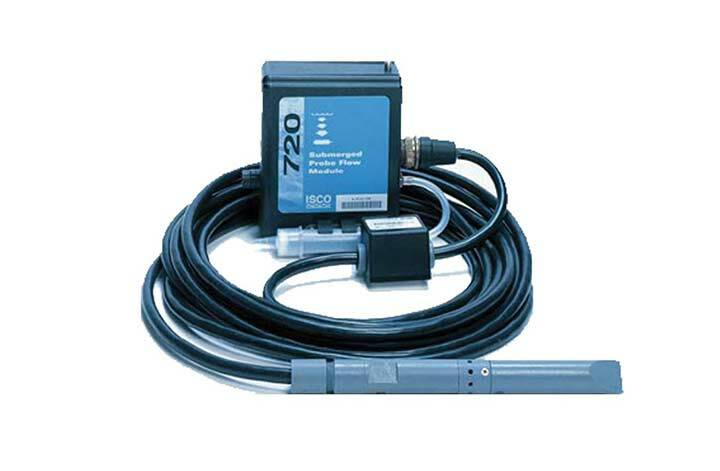 In standby applications such as monitoring stormwater runoff, Automatic Drift Compensation also allows the 730 to maintain calibration for extended periods. 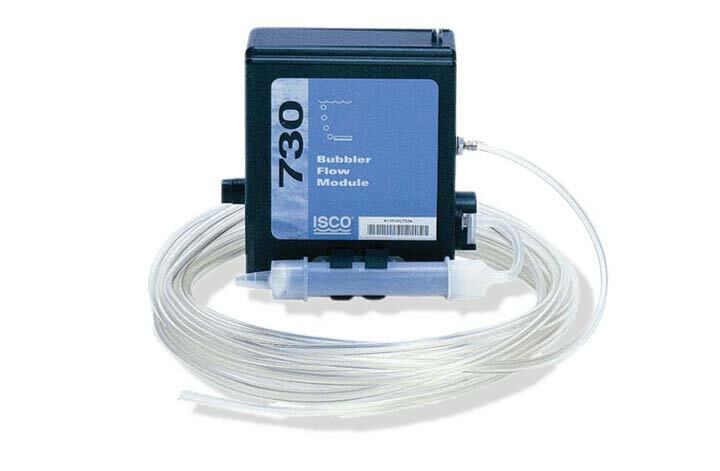 Built-in flow conversions for most applications, including Manning formula, flumes and weirs, Isco flow metering inserts, data points, or equations for special situations. Automatic Drift Compensation maintains calibration in standby applications such as monitoring stormwater, and provides high level of accuracy..
All level data stored in the sampler is available for retrieval and can be used in reporting, graphing and analysis using Flowlink software. LCD display can be used to view current flow and level values. Level Measurement Accuracy (Non-linearity, repeatability, and hysteresis at 25°C (77°F). Max error (±) for indicated level range. The 780 Analog Output Flow Module interfaces between a 6700 Series Sampler and analog data from other equipment. 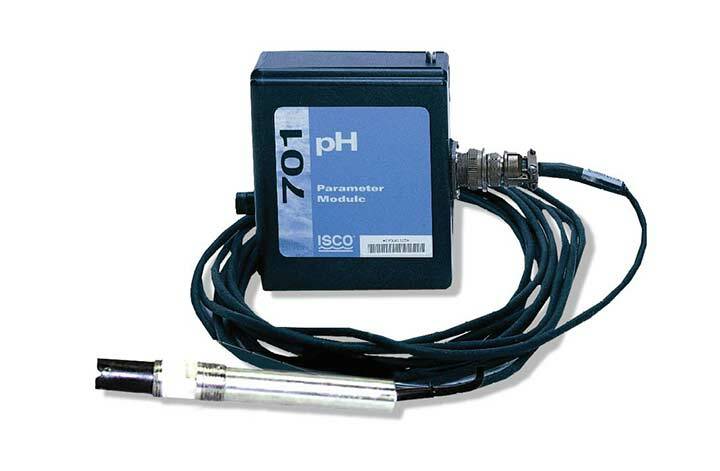 For example, the 780 Module can use the flow signal from flow meters that output a 4-20 mA signal to pace a 6712 or 6700 sampler.